The value of Winnicott's work has become more and more widely recognized not only among psycho-analysts but also psychologists, educators, social workers, and men and women in every branch of medicine; indeed, all whose work or practice involves the care of children in health or sickness.An important part of the value of these writings lies in the uniquely binocular view with which the author regards the subjects of his investigation. 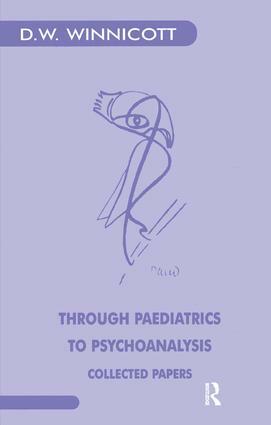 With him, pediatrics informs psycho-analysis; psycho-analysis illuminates pediatrics. This book is not concerned with innovation in basic psychoanalytic concepts or techniques, but with the formulation and testing-out of ideas whose origin was in the challenge of day-to-day clinical work that was the staple of Winnocott's medical experience throughout his professional life. This book is arranged in three sections. The first represents Winnicott's attitudes as a pediatrician prior to training in psycho-analysis, and demonstrates the degree to which a purely formal pediatric approach requires as an effective complement a deeper understanding of the emotional problems of child development.